Shah Rukh Khan, Anushka Sharma and Katrina Kaif starrer ‘Zero’ is participating in the Beijing International Film Festival (BIFF) that is starting from 13 April to 20 April. Yes, you heard it right. Earlier, SRK movies like ‘My Name is Khan’, ‘Happy New Year‘ and ‘Fan’ were released at the Chinese box office but they didn’t do good business. 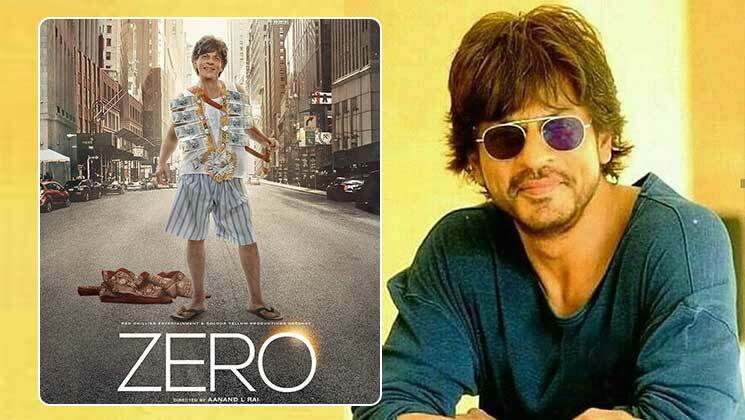 Five Indian films along with ‘Zero’ will be screened at the event. SRK will be taking part in the discussion on Sino-India films along with director Kabir Khan and Chinese film director, Wen Muye who is known for his film ‘Dying to Survive’. Talking about ‘Zero’, it has received a lukewarm response in India. Let’s see how it performs at the Chinese box office. Recently, Ayushmann Khurrana’s ‘Andhadhun’ crossed Rs 100 crore in China. Earlier, Aamir Khan movies also raked in a good amount at the China market. Other Indian films to be screened are ‘Apur Sansar’, ‘Aparajito’, ‘Love per Square Foot’ and ‘Ittefaq’.